Still Life Photo Wallpaper Spring Has Come portrays a colorful shot of a fruit on a woven basket with excellent depth of field. The color combination and the temperature will give a feel of warmth and is a must download for the Winter. 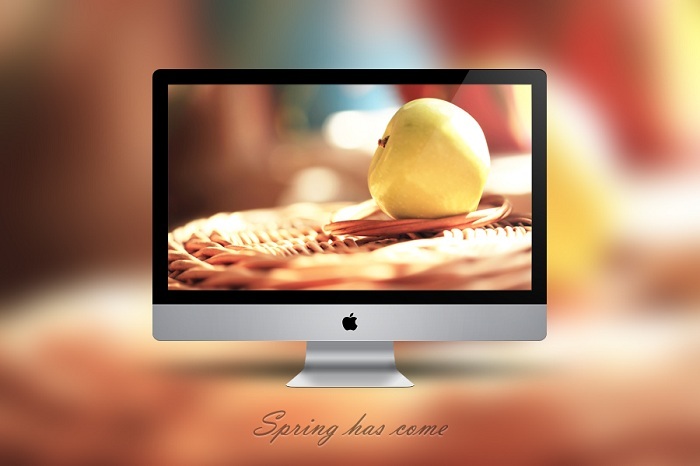 The photo of Still Life Photo Wallpaper Spring Has Come is taken by Zim2687. License : Some rights reserved. This work is licensed under a Creative Commons Attribution-Noncommercial-No Derivative Works 3.0 License. Photographer has given permission only to use it for Personal use. It is a RAR download, the file is very light, only 4.5 MB in size. This Article Has Been Shared 3098 Times! Wild flowers wallpaper is an excellent quality photo wallpaper in high resolution of a bunch of wild flowers on a beautiful background. Clover Wallpaper is an excellent quality photo wallpaper in high resolution of a clover plant on a beautiful blurred background. Paper Clip Wallpaper is an excellent realistic wallpaper fully digitally rendered in C4D and finished in Adobe Photoshop. Spanish Lavender Wallpaper is a stunning wallpaper, which is sure to give your desktop a beautiful soothing environment. Cite this article as: Abhishek Ghosh, "Still Life Photo Wallpaper – Spring Has Come," in The Customize Windows, October 4, 2011, April 21, 2019, https://thecustomizewindows.com/2011/10/still-life-photo-wallpaper-spring-has-come-1/.